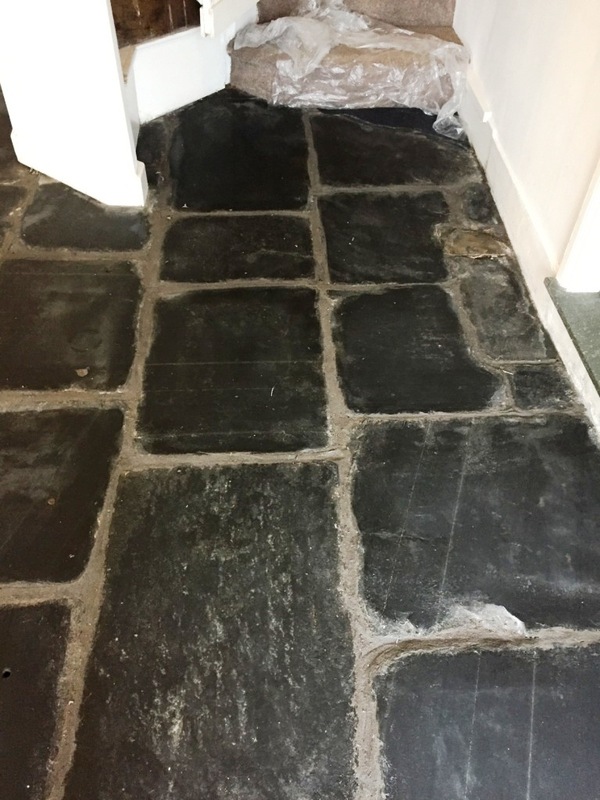 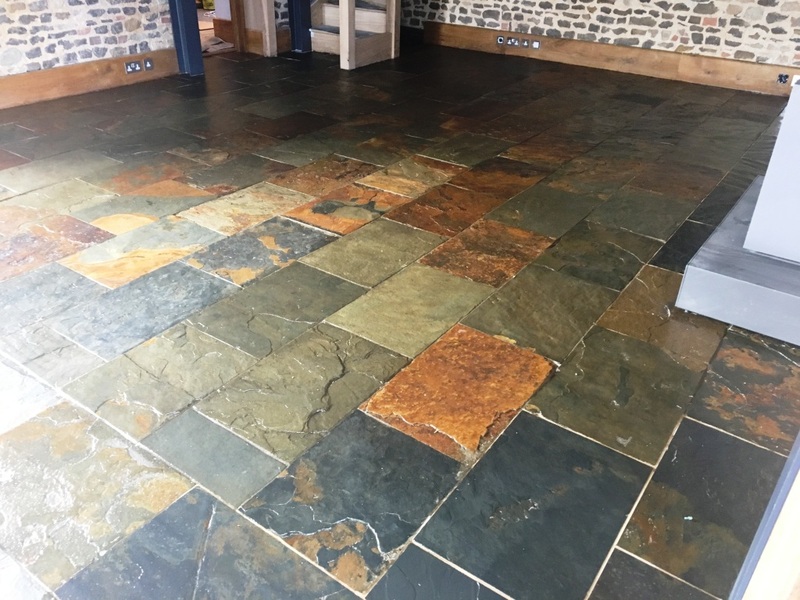 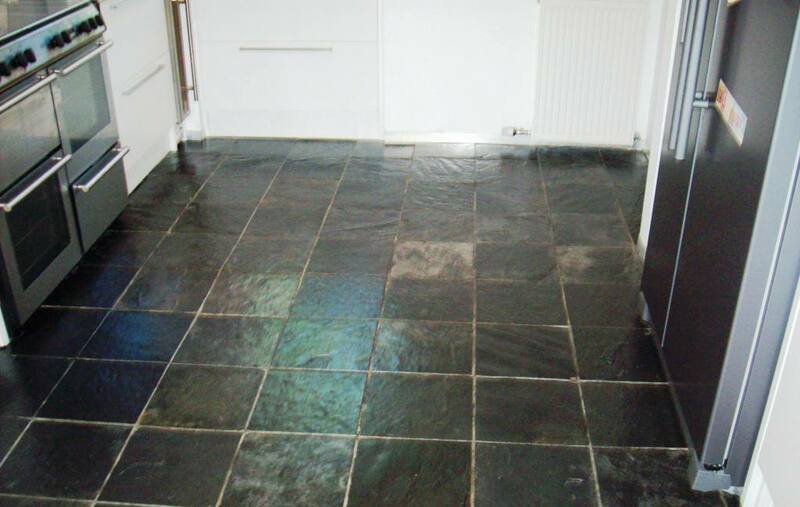 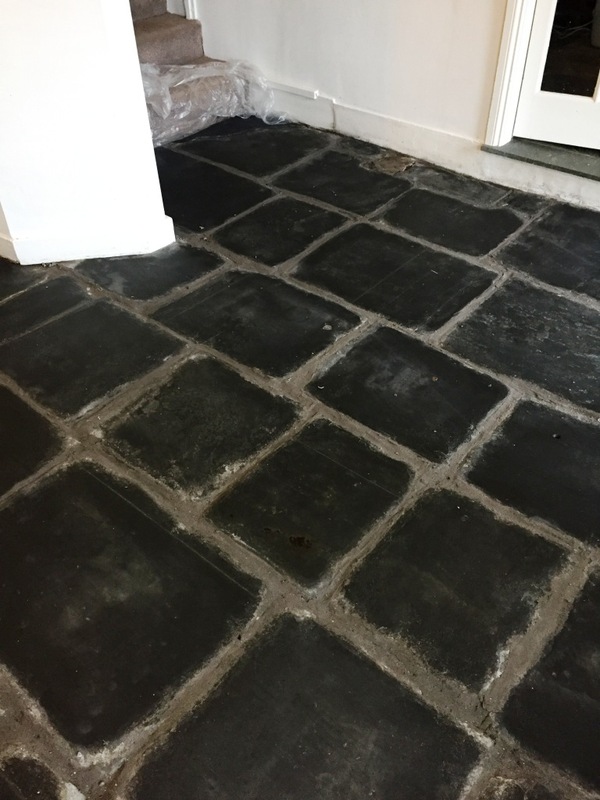 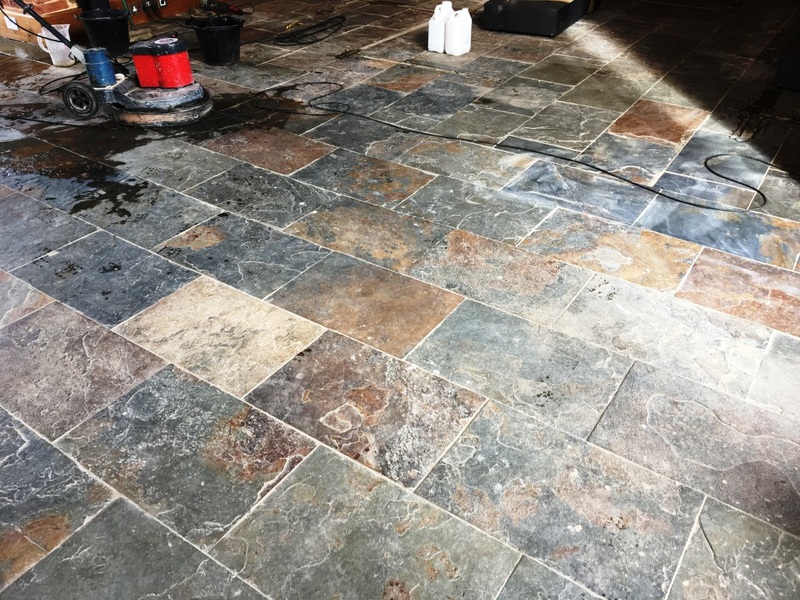 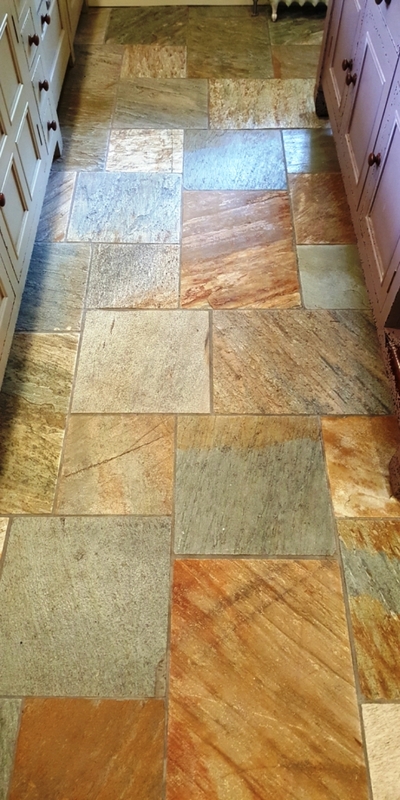 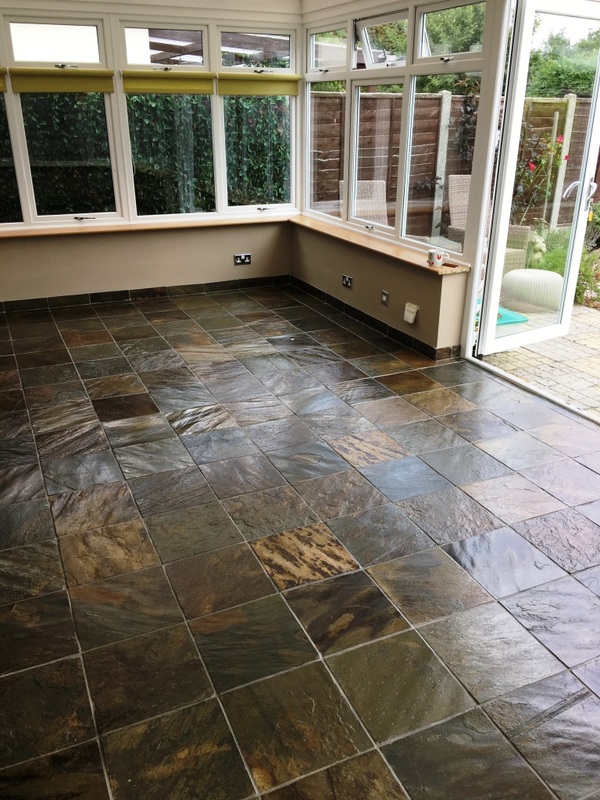 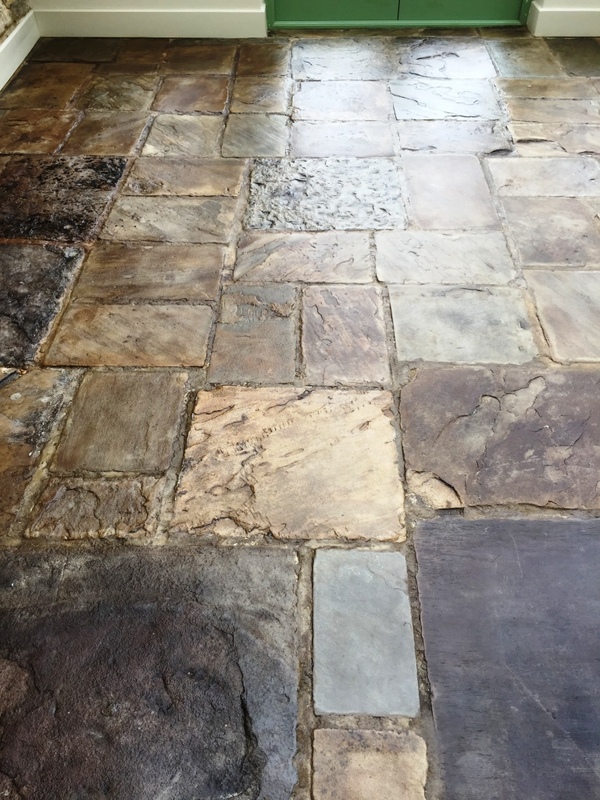 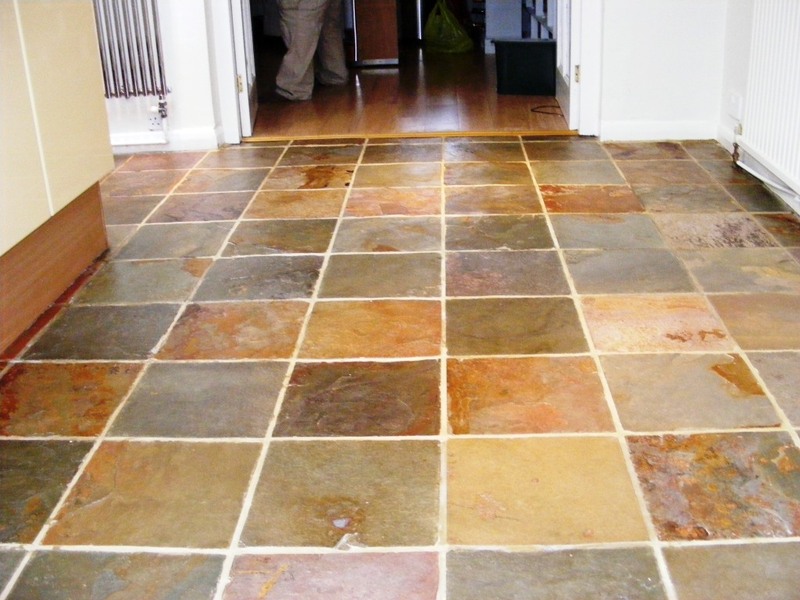 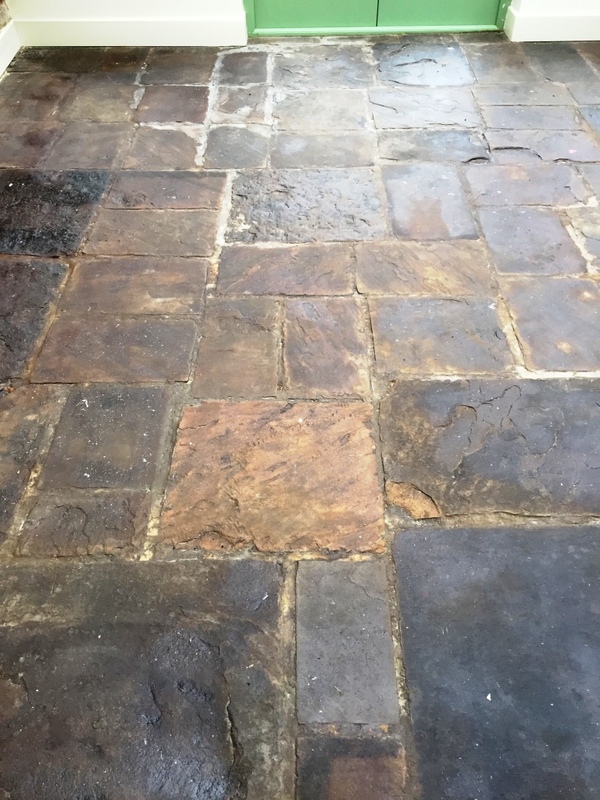 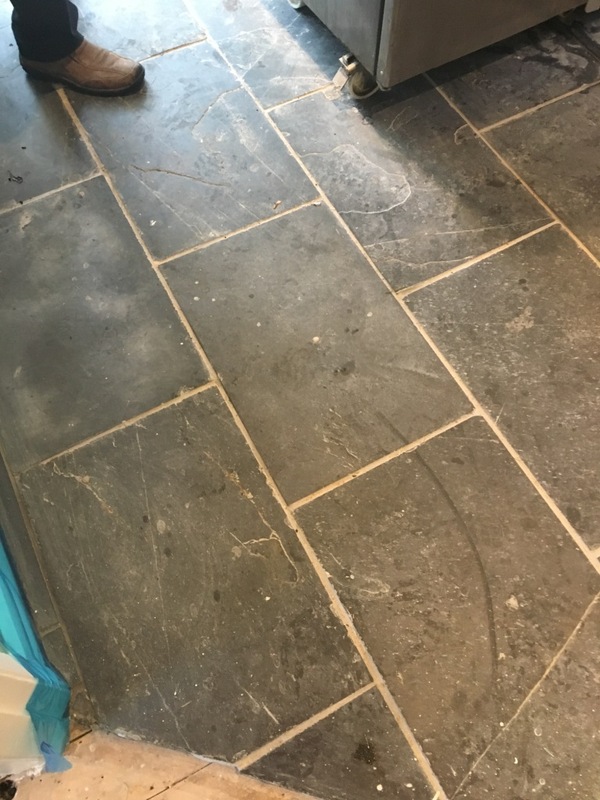 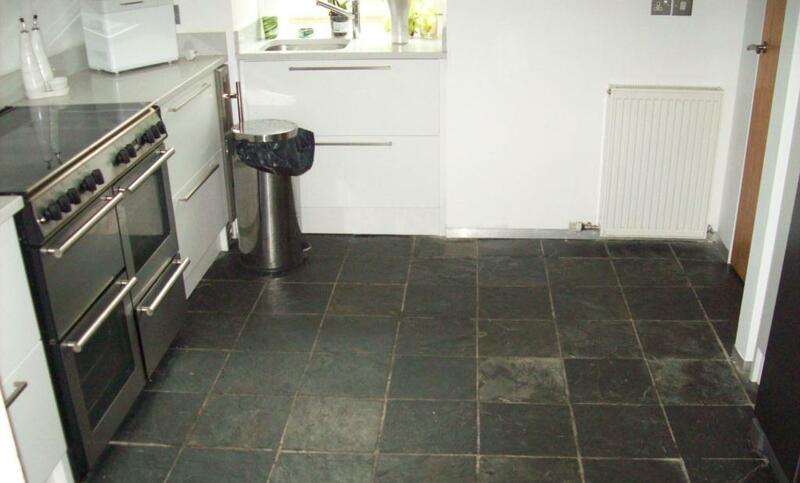 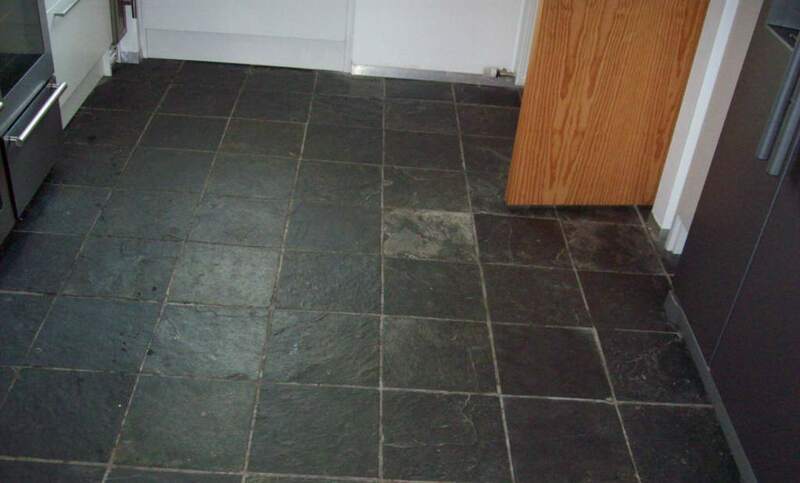 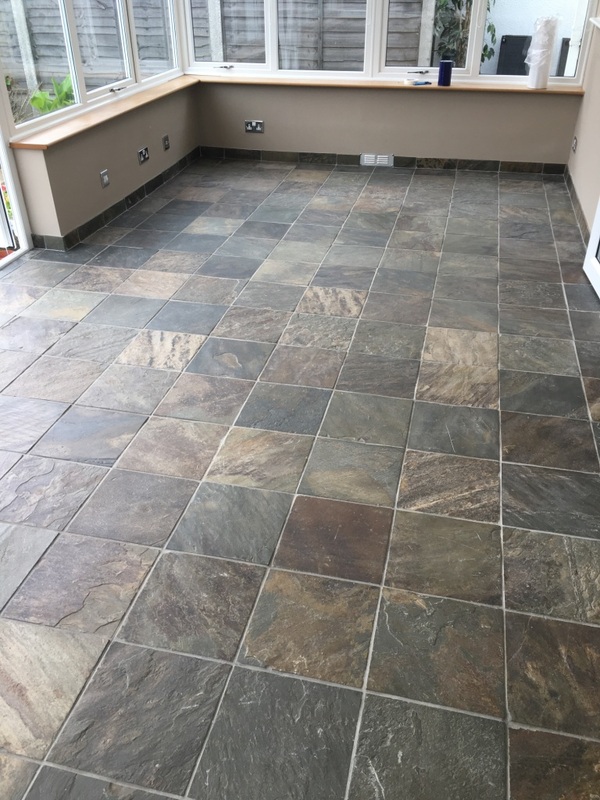 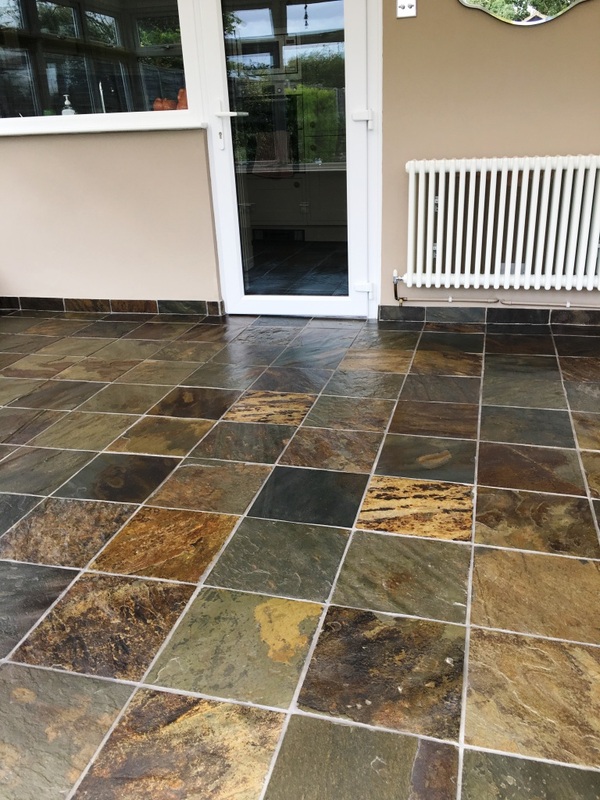 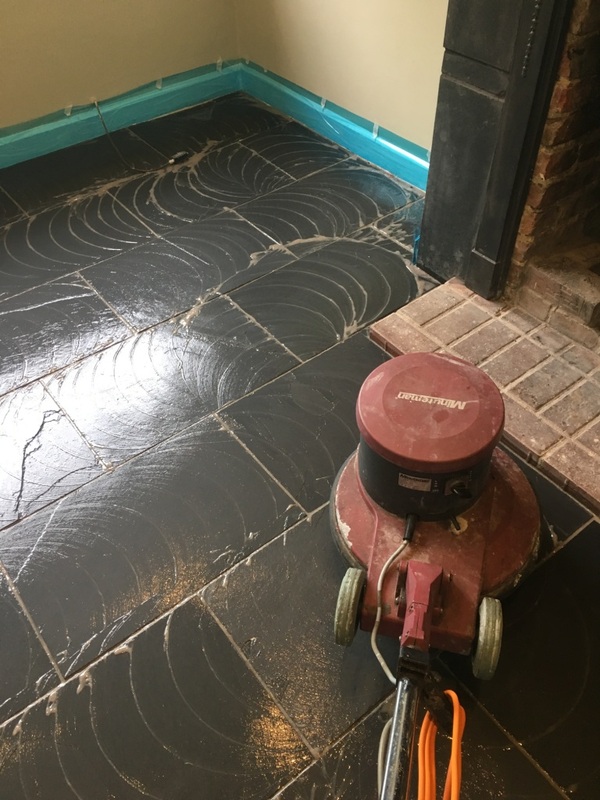 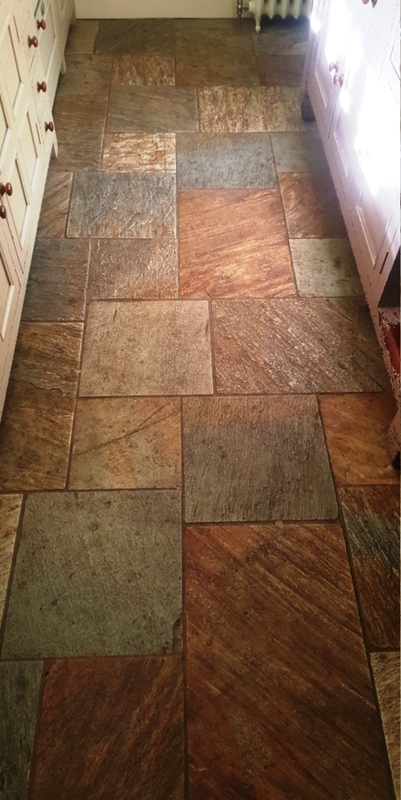 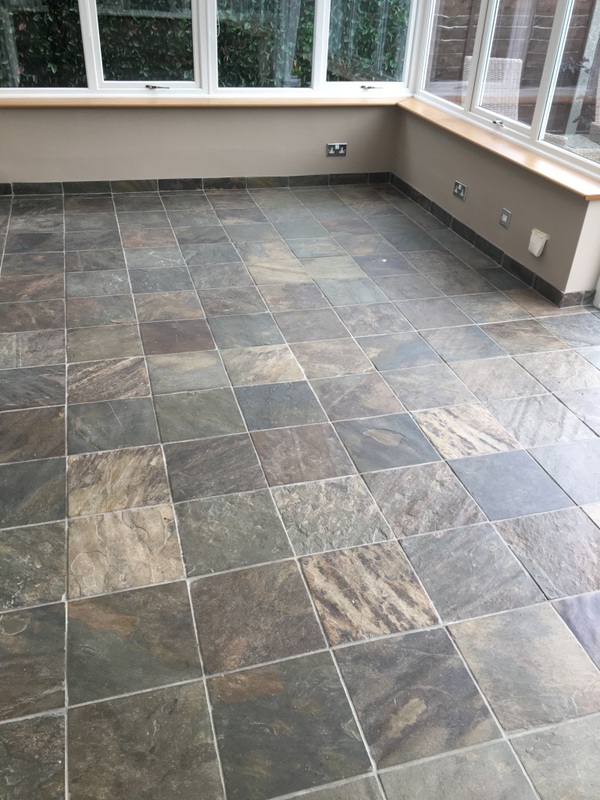 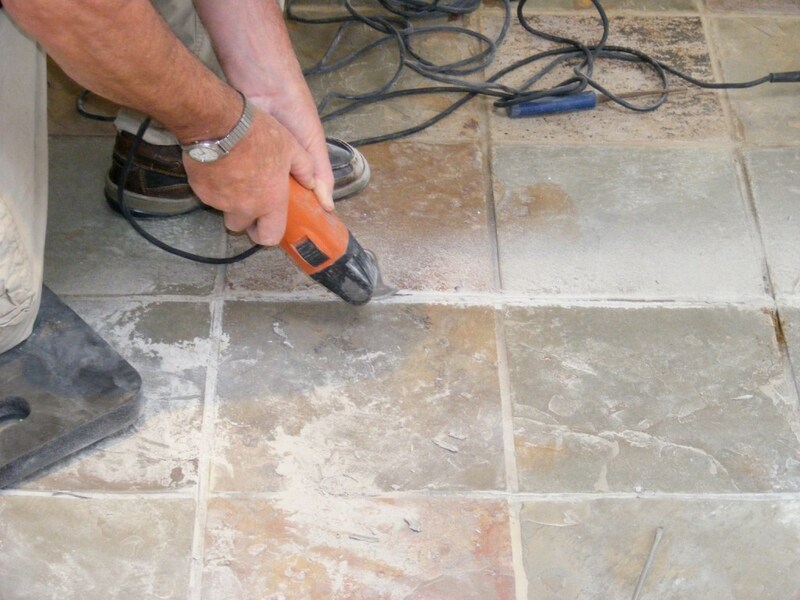 The Slate floor in the kitchen and conservatory of a house in St. Albans was laid around five to six years old and now required deep cleaning and re-sealing. 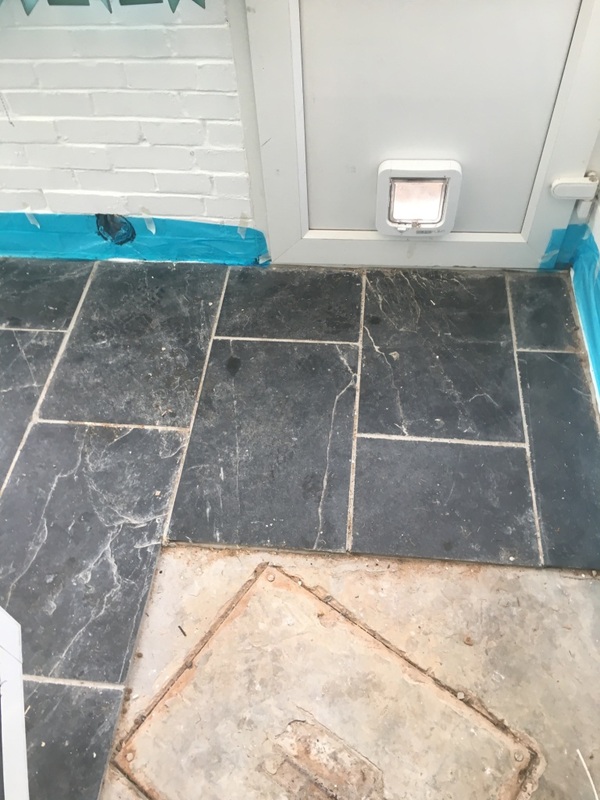 Previously a grout repair had been carried out but unfortunately after the initial clean the grout applied was the wrong colour and needed to be replaced. 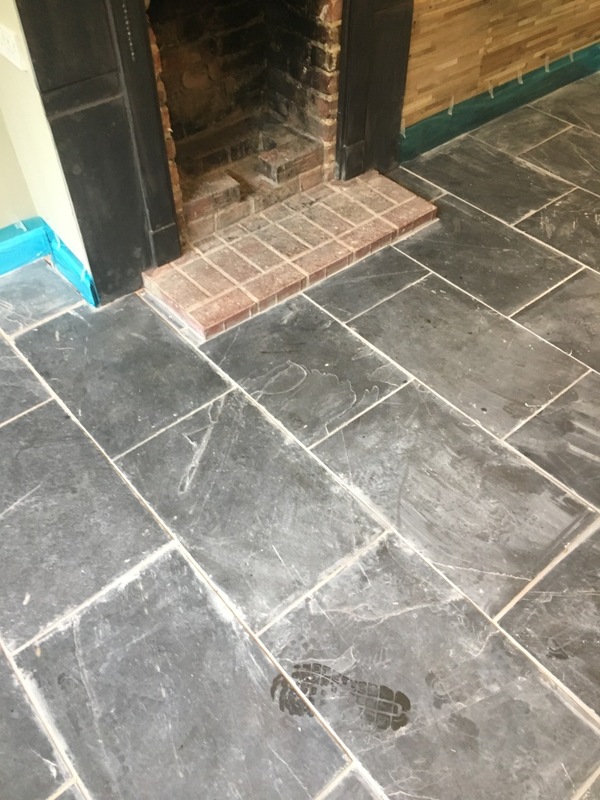 The Slate floor was pre-cleaned using a diluted solution of Tile Doctor Pro-Clean mixed with Nanotech Ultra-Clean scrubbed with a buffing machines fitted with a polypropylene brush running at a slow speed. 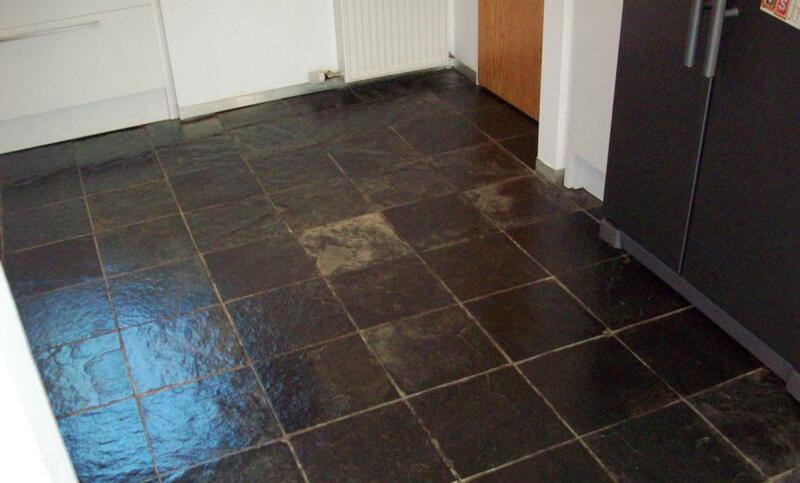 The dirty solution was removed using a wet vacuum, floor rinsed with clean water and left to dry. 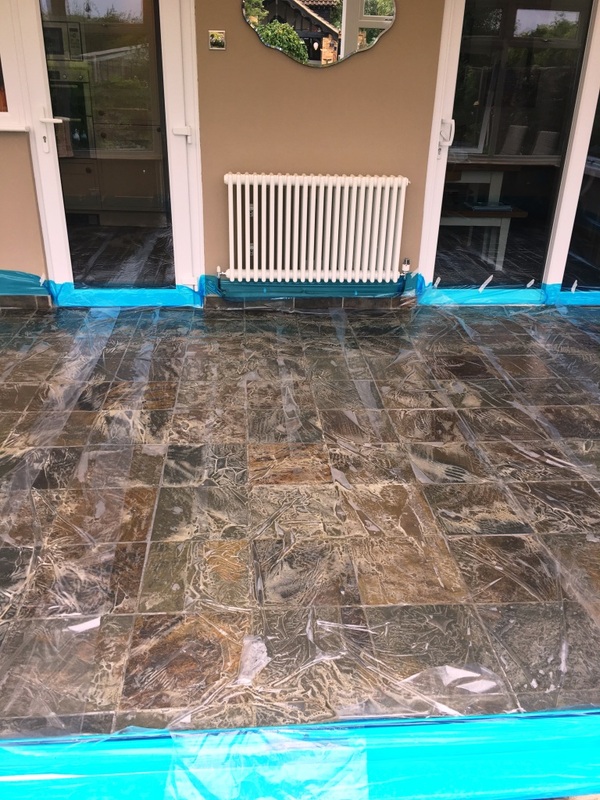 It’s not a good idea to apply new sealer on top of a different product so it was necessary to ensure all the old sealer had been completely removed. 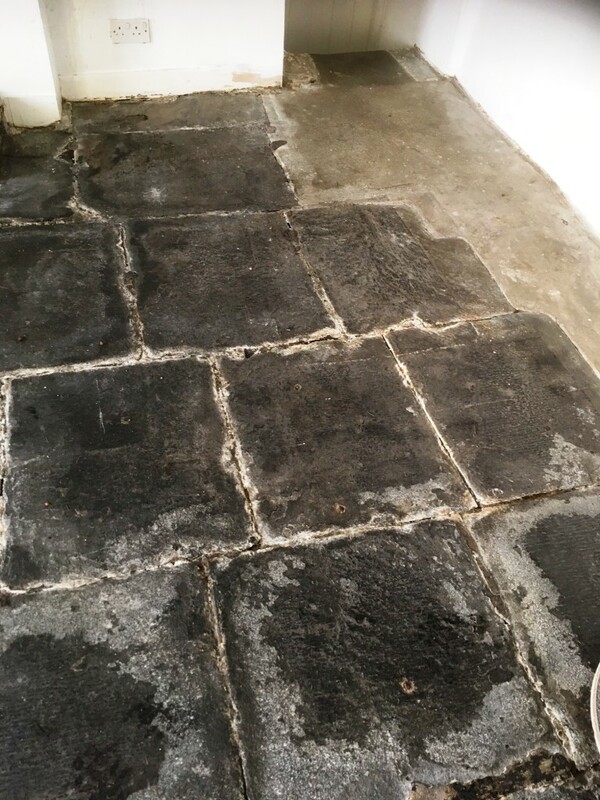 Sealers are by nature stubborn to remove so it was necessary to apply Remove & Go (a product designed for the removal of sealers) which we left to dwell on the surface for an hour. 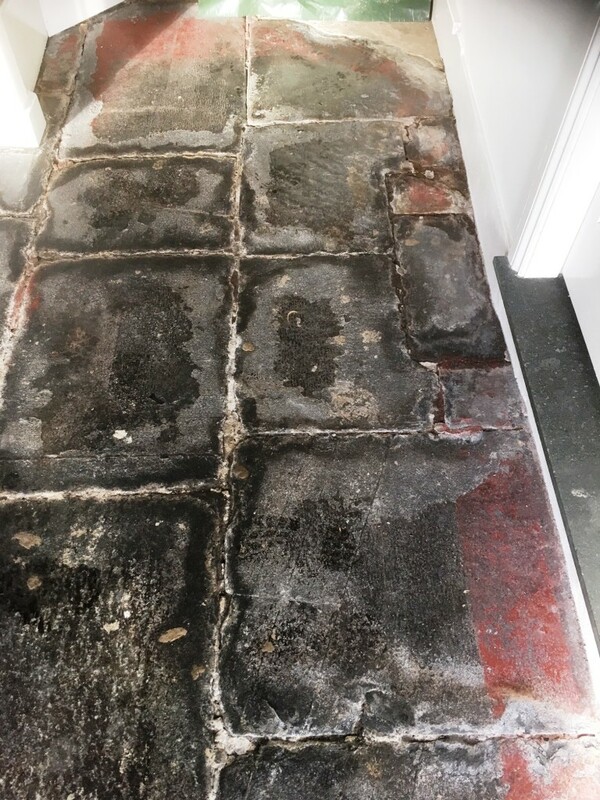 Often a strong solution of Pro-Clean is sufficient but not in this case. 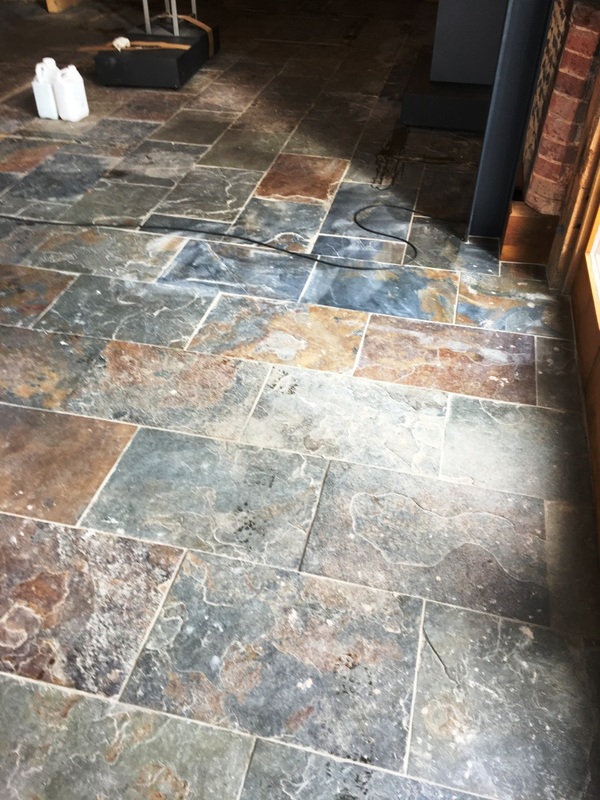 The dirty solution was removed with the wet vacuum and rinsed with water to remove any residues and neutralise the floor. 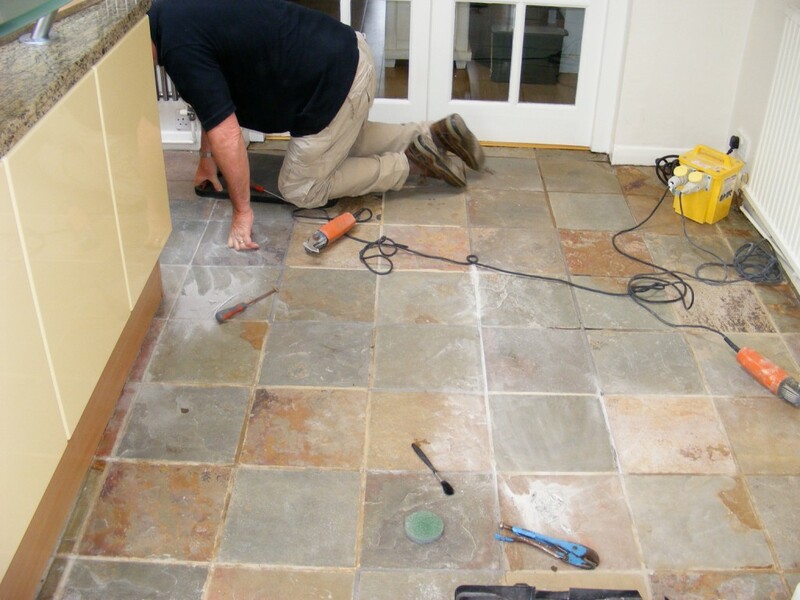 To remove the grout we used a specialist “Oscillating Grout Tool”, if there was a large area to do we would normally recommend the user of an epoxy Grout Colourant however there wasn’t a great deal to remove so it was quicker to cut out the offending Grey grout and replace with a matching sandstone. 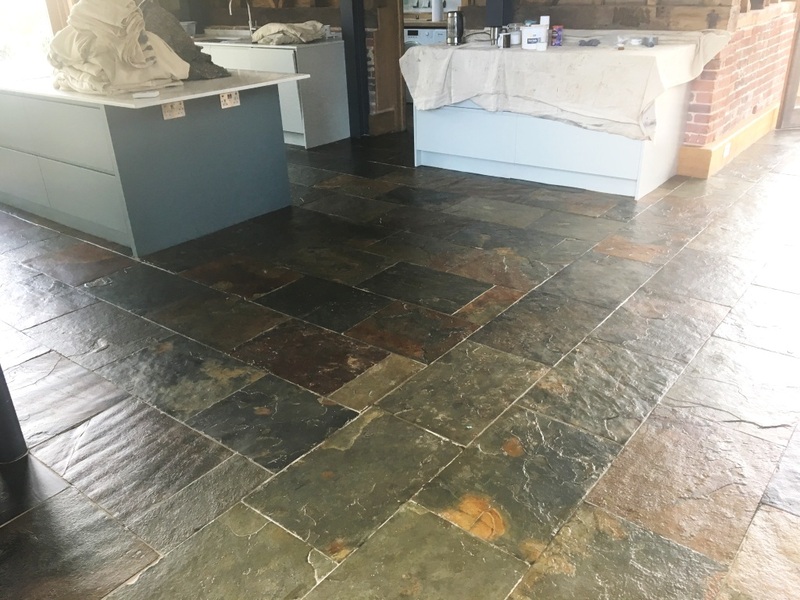 We sealed the floor with a single coat of Tile Doctor Colour Grow which really helps bring out the deep colour from the slate. 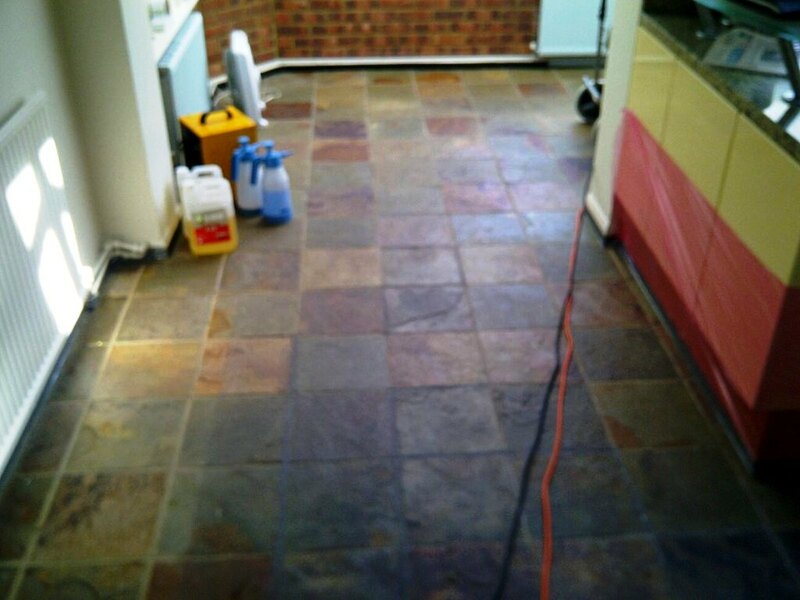 To finish and build up the lustre and richness of the colour we then applied seven coats of Seal & Go. 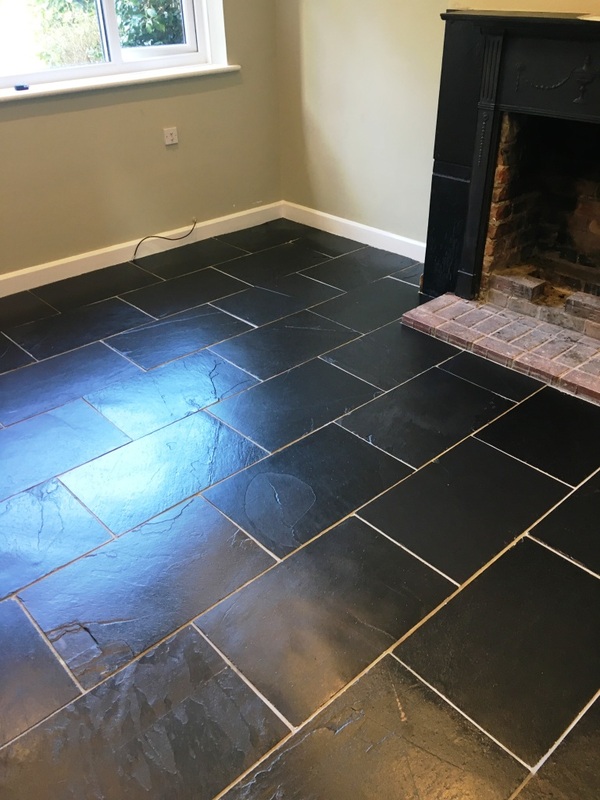 All of the job took two full days and was ready for soft foot traffic after two hours of completion and fully dry in 24 hours. 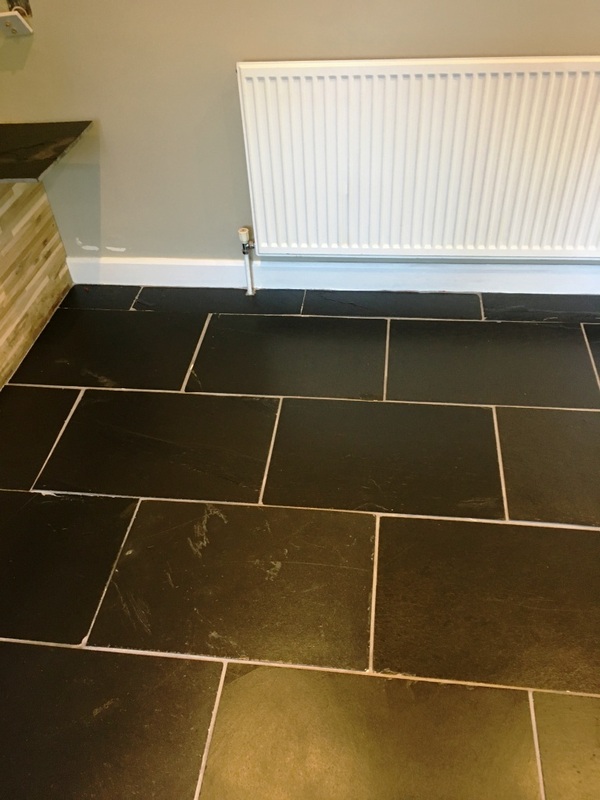 For maintenance we recommended the use of Tile Doctor Neutral Cleaner, diluted 1:30 with water and applied with a microfibre flat mop, rinse with water and then remove with a clean microfibre flat mop.